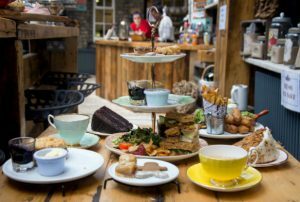 Following in the footsteps of its sister café in Coventry Rising Café Lincoln has reached the heady heights of number one on Trip Advisor. Serving a great range of delicious foods in equally delightful surroundings it is no surprise that our café, situated in Alive church on Newland Street, has become the most popular place in Lincoln to eat out. This rise to fame has caught the attention of local media. Follow the link below to read what the Lincolnshire Echo have to say about it on their website.